According to research from TDG, 56 per cent of broadband households are to varying degrees likely to purchase a new TV in the next six months. TDG expects that close to 25 per cent of broadband households will indeed buy a new HDTV in the next six months, which equates to at least 20 million new purchases during this time period. This is good news for TV OEMs, no doubt. The question for many at CES is how many of these sets will be smart TVs – TVs that feature native Internet connectivity and can support a host of OEM or secondary connected TV applications – and how many will be 3D. Both instances represent higher-end purchases, thus greater revenue per set. 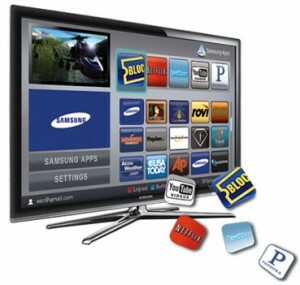 TDG research suggests that new HDTV buyers are 50 per cent more likely to purchase an Internet-connected HDTV versus a 3D HDTV. Among likely HDTV buyers, 78 per cent are likely to buy a smart TV, compared to 50 per cent who are likely to buy a 3D TV. This reinforces TDG’s long-standing prediction that smart TVs will diffuse much more rapidly than 3D sets, primarily due to the advanced functionality that smart TVs offer, a virtue that new buyers consider particularly attractive. Since 2009, TDG’s research has shown a preference among new TV buyers for Internet connectivity over 3D, and diffusion rates validate these forecasts. The same is likely to continue for the next several years, as the next generation of HDTV buyers is more likely than their predecessors to prefer Internet connectivity over 3D.